One of the priorities of the Canadian Immigration Office is child sponsorship, because they understand the urgency of providing stability for a child. However, there is still a process that must be completed and requirements must be met. 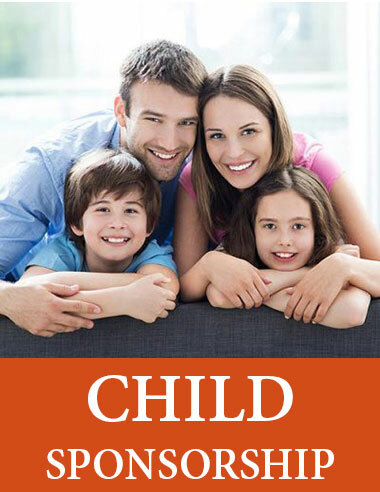 However, if you are worried about your child sponsorship visa success, then you can invest in our experienced immigration law firm. We have handled many cases and understand what it takes to increase the speed of the application process and the success rate. How can a sponsor qualify? The sponsor must be a citizen of Canada and a permanent resident, or alternatively registered via the Canadian Indian Act. Should have financial stability and can prove to provide for the child immigrant. The process of proving all of these points can be tricky if you’ve never done it before. Our immigration law firm can help you figure out the small details to ensure adequate proof is provided on your behalf. They cannot have a common law partner or spouse. *Some exceptions can be made. Get in touch with us to find out more. They cannot provide support for themselves due to a health problem. They were reliant on financial support from the parents before the age of 22. Keep in mind that these conditions must be met before the child enters Canada. Each child must have their own application and will be considered independently of each other. The success of the child sponsorship is no doubt very important to you, and therefore you’ll want to maximize your chances of success. However, it is likely that you have never had to endure an application process like this before. An experienced immigration law firm like us on the other hand has a wealth of knowledge. We understand what steps must be taken for a speedy and successful application process.